Website builders are usually not a paid service but it’s something worth including in this list. Many web hosts now provide simplified or sophisticated website builders that allow customers to quickly create their sites right after subscribing to a web hosting plan. Many want to create their own sites as quickly as possible with minimal need to understand the technicalities. Web hosting companies apparently acknowledge this, that’s why many are now offering website builders. Even better, there are companies such as Weebly and Wix that actually use the free website builder service as the “bait” for customers. They offer customers the opportunity to create their professional-looking websites for free, and in turn, offer provide reliable hosting (for a fee) for the site. This is different from website builders. There are web hosting companies that actually provide professional web hosting services. These web design services are usually intended for those who are availing of a web hosting package and are in need for a design upgrade. Their sites may have to be overhauled to take advantage of new technologies or the new features of the web hosting package. Sometimes, it is advantageous to use the web design services of a web host because they likely have already mastered how to optimize a site’s design for the hosting they offer. They can provide advice on what to do and what not to do to ensure that the resulting website performs at its optimum. Domain name registration is one of the earliest related services web hosts have been offering. There have been many companies that conveniently bundle domain names with their web hosting packages. There are also those that provide the service separately. Most of them specialize in domain names for their specific country or region. A web host based in the UK, for example, offers .uk and .london domain names. Moreover, in years, there have been web hosts that are already able to register the new top level domain names such as .cafe, .restaurant, .club, and .store. There are also web hosts that help website owners secure their sites through SSL certificates. The web hosts are not the ones granting these certificates. They simply help obtain them from trusted certificate providers such as GeoTrust. Having an SSL certificate means the encryption of sensitive data in a website. This is particularly important for sites that accept user registrations, ecommerce sites or online stores for example. It’s important to have data encrypted to prevent data theft and fraudulent schemes such a phishing. SSL certificates may be offered in different ways. It could be basic entry-level website protection, protection that covers all sites and sub-domains, or protection intended for enterprises. For the uninitiated, SSL certificates are typically manifested by the presence of a “lock” icon on the browser, on the address bar in particular. It’s also worth noting that there are claims that SSL encryption can help raise Google search ranking. Web hosts haven’t stopped with just putting a website up and running. There are those that have also ventured into search engine optimization (SEO). After providing the solutions to build and operate a blog or website, they also offer services to make sure that the site is competitive in terms of being searched using certain keywords. SEO has many aspects. It’s not just about optimizing the content with the insertion and positioning of certain keywords. Optimization techniques are also implemented in the design of a site. There are do’s and don’t to observe to maximize searchability and avoid getting penalized, especially by Google. Additionally, there’s the link building aspect. Not many web hosts may go as far as undertaking link building campaigns, though. Web hosting companies at present are like modern mobile phones. Everyone still refers to them as “phones” even though they are way more than just phones. The emphasis on phones now are more on their camera, display, battery life, and other features but they are expected to still perform well for their basic phone function. Web hosting companies offer several other important services that allow them to provide virtually everything needed to start and run a site or blog. 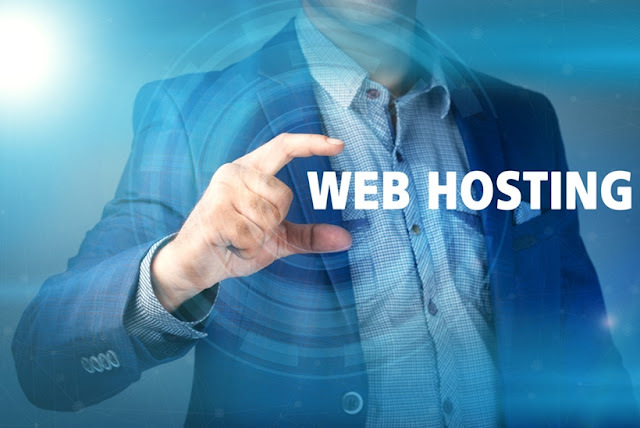 It’s important, however, not to forget that their hosting services should be reliable, not laden with flaws to be compensated for by the other services being offered.